Chida Vida was a short university project developed in 2015 during the 3 weeks before the Madrid Games Week game festival. Based on the "El Día de los Muertos" Mexican tradition, players have to battle it out in a turn-based arena to be the first ones to reach the golden skull. A tool for designers to create dungeons based on prefabs, allowing them to preview and test them easily. Fast iteration and improvements were made thanks to this tool. Implemented an A* pathfinding algorithm from scratch. It supported rotating the grid, as well as moving through different heights. That was particularly useful for a power up that made characters able to jump on top of blocks. 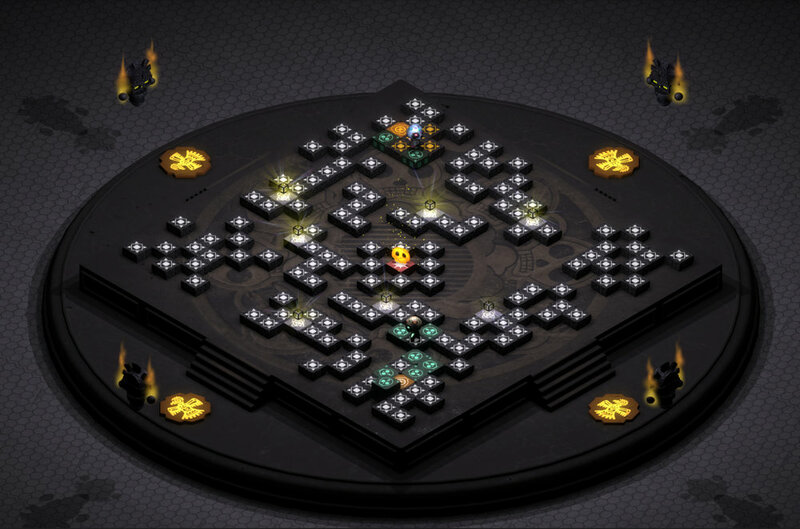 The turn-based design of the game was implemented with modularity in mind to allow any amount of players simultaneously. Power-ups are also independent entities and the player will gain their abilities when touching them.